• Keyworth United Community Football Club uses your personal data to manage and administer your membership and your involvement with its teams and club, and to keep in contact with you for these purposes. • Some data is shared with the FA, who use your data to regulate, develop and manage the game. • Where we or the FA rely on your consent, such as any consent we might seek for email marketing, you can withdraw this consent at any time. • Amongst the data we collect from you may be medical (including injury) information. We will hold this where you (or your parent) have given consent, so that we can ensure we are aware of your condition and can make sure that you are supported appropriately. • Where you work in a particular role within the game, you may be required to undergo a Disclosure & Barring Service check using the FA’s eDBS system. The result of this check will be input into your Game Management Service (GMS) record. This policy describes how Keyworth United Community Football Club(also referred to as “the Club”, “we” or “us”) will make use of the data we handle in relation to our members and players, including our use of the Game Management System (“GMS”) provided by the Football Association (“FA”). The policy also describes the FA’s use of data on GMS. • your payment and/or bank account details, where you provide these to pay for membership (although this is deleted as soon as it has been used). We may receive information relating to your existing registrations with other clubs or football bodies or disciplinary history from the FA through GMS. 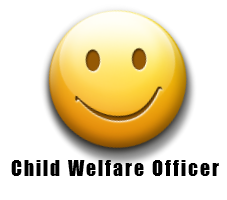 Additionally, for certain role holders or those working with children, we may receive information from the Disclosure and Barring Service and FA on the status of any DBS check you have been required to take. How does the FA use any of my information? o communicating with you to ask for your opinion on FA initiatives. o The FA will ensure, where you will work with children and where this is required, that you have undergone an appropriate DBS check – this is also carried out with your consent. o The FA may respond to requests by government or law enforcement authorities conducting an investigation. Wherever we rely on your consent, you will always be able to withdraw that consent, although we may have other legal grounds for processing your data for other purposes, such as those set out above. In some cases, we are able to send you direct marketing without your consent, where we rely on our legitimate interests. You have an absolute right to opt-out of direct marketing, or profiling we carry out for direct marketing, at any time. You can do this by following the instructions in the communication where this is an electronic message, or by contacting us using the details set out below in the “How do I get in touch with you or the FA?” section. In addition to sharing data with the FA, we will share you data with: Nottingham, Lincolnshire and Derby football Union for involvement in particular matches and details of any disciplinary issues or incidents you may be involved in on and off the pitch, such as within health and safety records. Some limited information may be shared with other stakeholders in football, such as other clubs, Constituent Bodies, referee societies, league organisers, so that they can maintain appropriate records and assist us in organising matches and administering the game. Personal data may be shared with government authorities and/or law enforcement officials if required for the purposes above, if mandated by law or if required for the legal protection of our or the FA’s legitimate interests in compliance with applicable laws. Personal data will also be shared with third party service providers, who will process it on our behalf for the purposes identified above. Such third parties include the FA as the provider of GMS and Squarespace who host the club website. You have the same rights for data held by the FA for its own purposes on GMS. To exercise any of these rights, you can get in touch with us– or, as appropriate, the FA or its data protection officer – using the details set out below. If you have unresolved concerns, you have the right to complain to the Information Commissioner’s Office. Much of the information listed above must be provided on a mandatory basis so that we can make the appropriate legal checks and register you as required by FA Rules and Regulations. We will inform you which information is mandatory when it is collected. Some information is optional, particularly information such as your medical information. If this is not provided, we may not be able to provide you with appropriate assistance, services or support. How do I get in touch with you or the FA? If you have any concerns about how the FA process your data, you can get in touch at dataprotection@thefa.com or by writing to: Data Protection Officer, Wembley Stadium, PO Box 1966, London, SW1P 9EQ. The FA will maintain records of individuals who have registered on GMS, records of DBS checks and the resulting outcomes and other disciplinary matters for such period as is set out in the FA’s privacy notice to be set out on www.englandfootball.com. Records of your involvement in a particular match, on team sheets, on results pages or in match reports may be held indefinitely both by us and the FA in order to maintain a record of the game.